"Dude I think I heard a noise coming from upstairs." Just two bros taking a selfie with a ghost. Two Bros, One Psychic, One Fake Psychic, a Ghost, and a Demon are what you'll find in the spooky one act musical Shadows on the Hill. When best friends Eric and Curtis decided to do their own paranormal investigation of the haunted Briarly Manor, they had no idea what was in store. From ouija boards, to possession, and a whole heck of a lot of love for toasted bread, Shadows on the Hill is a silly evening exploring what lies beyond, and serves as a great guide to defeating the worst evils in existence. Thought up while watching the Travel Channel paranormal investigation series "Ghost Adventures", Rachel and her close friend Rebecca Law fell in love with the idea of putting two dudes up against dark forces of evil, and making them sing while doing it. 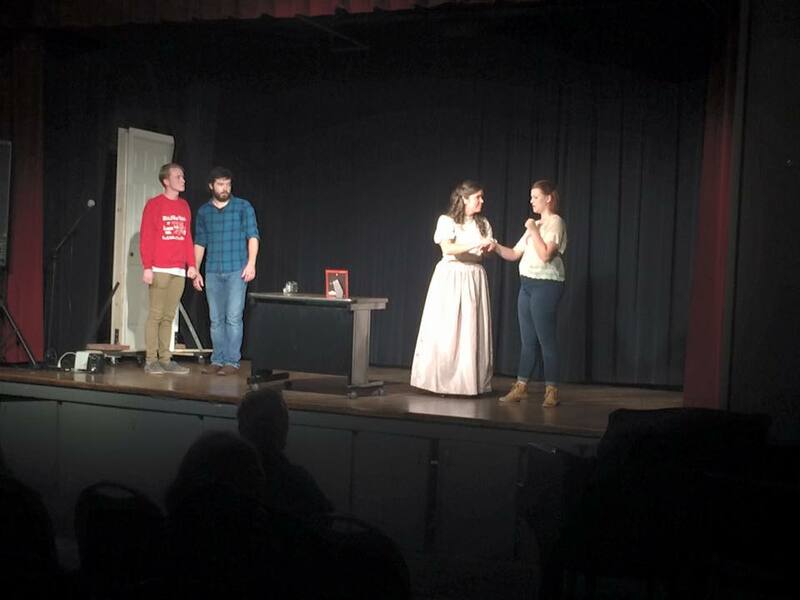 Taking the stage for the first time in October 2015, Shadows on the Hill, was a labor of love and laughs. Three weeks, only 5 rehearsals, and a one night only special event, Shadows on the Hill burst onto the scene. With hopes to have it haunt a theater near you soon, this comedy grows with every day, as the creative team tries to expand it's boundaries past it's original 45 minute run time, into a full-length musical. "Bro, I love you with all of my heart"